T ranshad company specialises in providing transportation services of passenger cars, vans and buses all over Europe. We give at your disposal 17 modern and reliable car transporters as well as a team of highly experienced workers. 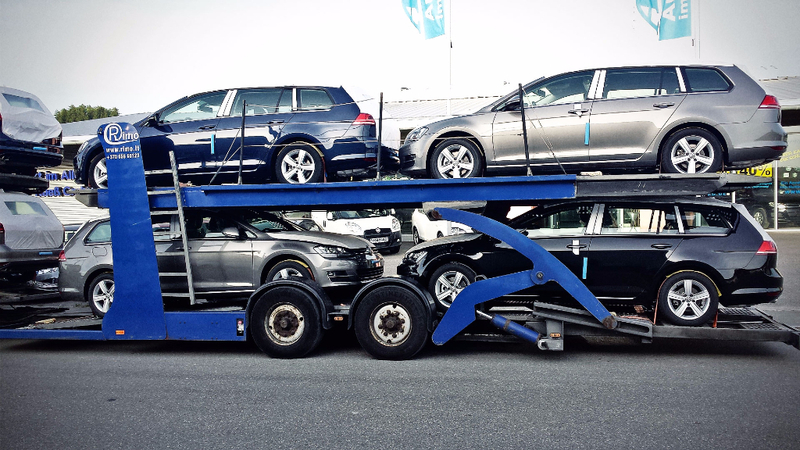 Our transporters comply with all requirements including Euro 6 and Euro 5 standards as well as with the guidelines provided by renowned manufacturers of the industry such as Volkswagen or Mercedes. We are proud to employ highly-skilled and expert staff who ensure provision of top quality services. Due to our extensive experience in the industry, we assure you that whatever cargo you entrust us with, it will always reach its destination on time and in undamaged state. Moreover, our staff are very well prepared to handle untypical cargos such as vehicles that are damaged or large in size. Apart from that, they are very well-trained in loading cargos directly from vehicle manufacturer plants in compliance with all required standards. Our forwarding department will be pleased to answer all your questions and provide you with the best possible solutions. Our mission is to ensure carrying out of transportation process at the highest possible level. If as an entrepreneur, you appreciate professionalism, high standard services, and expert advice and assistance, we strongly encourage you for cooperation. Your satisfaction will be our greatest reward.